An easy and quick meal, perfect for weeknights yet delicious enough for special occasions. The rich flavors of maple are enhanced with the savory additions of ginger, soy sauce, and garlic. I love to make this with Wild King Salmon, otherwise known as Chinook Salmon in my neck of the woods. But it is delicious with any variety. 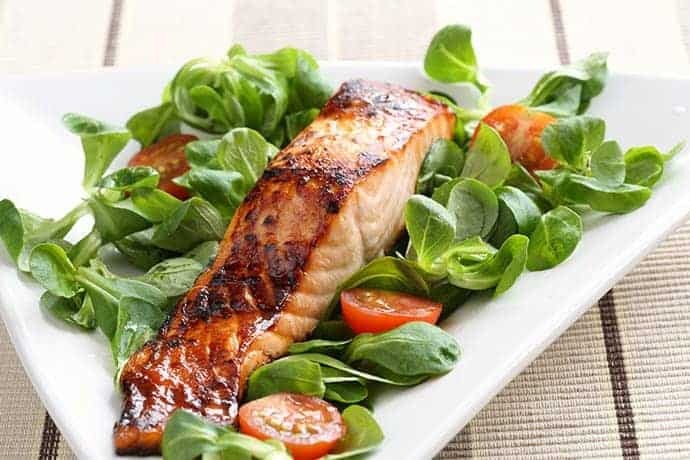 King Salmon is the largest of the salmon species, averaging 20 to 40 pounds, has a firm texture, an excellent flavor, and beautiful color ranging from nearly red to white. Preheat the oven to 400 degrees. Lightly coat a shallow baking pan with cooking spray. In a small bowl mix the maple syrup, soy sauce, balsamic vinegar, garlic, ginger, salt, and pepper. Place the salmon in the baking pan and coat with the maple syrup glaze. Marinate in the refrigerator for 30 minutes, turning once. 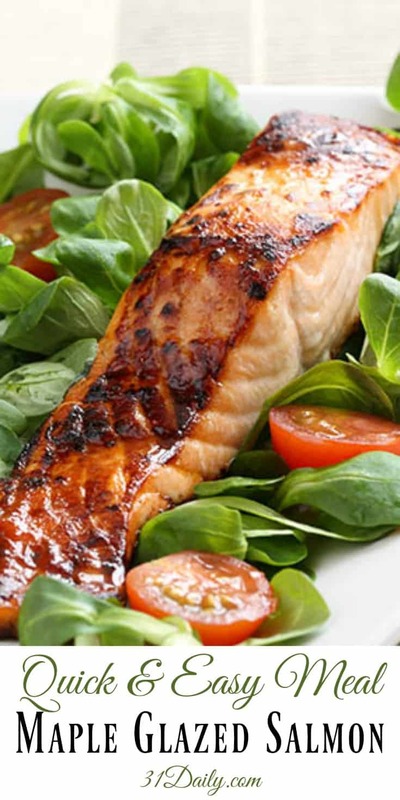 Bake the salmon for about 20 minutes or until can be easily flaked with a fork.